My grandpa gave me homework. My grandpa of all people! 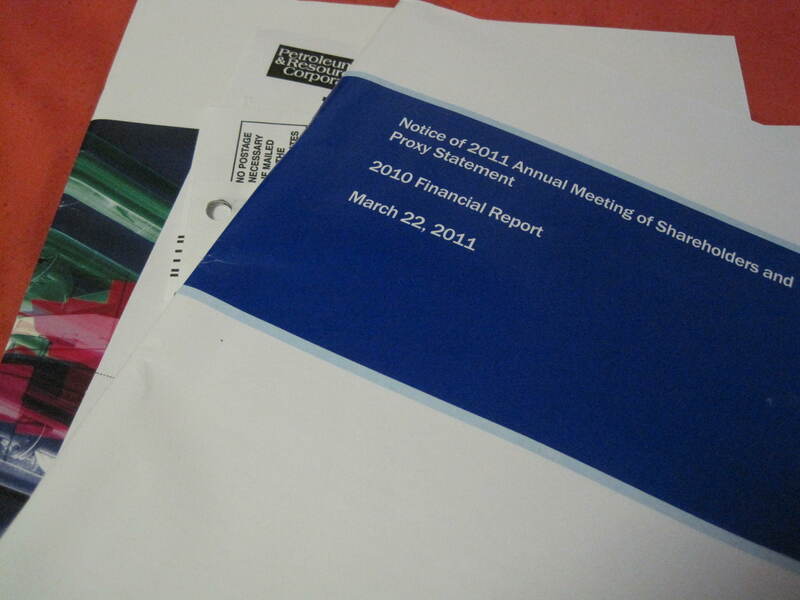 There’s a financial report for Petroleum & Resources Corporation and a ballot to vote board directors. My grandpa and dad hold stock in that company, so we use it as an example whenever Grandpa tries to teach me something financially fancy. There’s a whole bunch of other paper in the envelope I have yet to decipher. When I go home for Easter, I’m supposed to ask my Gramps questions about what I don’t understand. Reading financial reports will be boring, but I keep telling myself that I’m bettering my being! Let the fun begin.